3 minute read. In today’s post, we’ll discuss why we have a blog and what we hope to accomplish with this and future posts. To begin, all of us here at Lake Ridge Chapel and Memorial Designers would like to thank the Lubbock and surrounding communities for allowing us to serve so many wonderful families over the past 10 years. It’s such an honor to be trusted by you to help take care of your family during some of the most difficult times in your lives. That trust is not lost on us and we appreciate you allowing our Lake Ridge Chapel family to serve yours. You may have noticed we’ve recently made some modifications to our website. Our goal is to offer you easy to use resources to that are helpful and informative. We’re continuously working to improve and add to our website and online resources, such as this blog, as a way to serve you better. One of the most basic ways we hope to serve you with the Lake Ridge Chapel blog is simply by answering your questions! In this age of Google and Facebook, it’s commonplace to do some research online before engaging with any business. We want you to be able to find the answers you seek about our services and introduce you to the high internal standard of excellence that we have for ourselves - one that we hope to pass on to you by being meticulous, careful, and complete funeral and memorial planners. Throughout these 10 years, we have come to love Lubbock and surrounding communities. One of the reasons we started Lake Ridge Chapel and Memorial Designers is to serve people in our own unique way; providing innovative and meaningful funeral services. Our intent for everyone that comes through our doors is that even if you enter as a stranger, you leave as family. Why do we care so deeply about this? Because we feel it’s our calling and life’s work to help others celebrate lives well lived. At the end of any memorial service, what matters the most is that families had an experience and opportunity that allowed for a meaningful time to celebrate a loved one’s life and say final goodbyes. This is our heart for you! We will go above and beyond to serve you in this way. In addition to answering your most basic questions, we want to take the fear out of funeral planning. Death is universal, but that doesn’t mean we’re all prepared to deal with it when the time comes. It can be a scary, sensitive subject to talk about funeral planning. “Where do I start?”, “How much does it cost?”, “Who can help me?”, “What do I do?!”. That’s why we’re here: to remove some of that fear and stress and leave more room for you to enjoy your family and celebrate your loved ones. While we care deeply about assisting you and your family during tough times of loss and mourning, we also care about you as a person now! Lake Ridge Chapel and our staff aspire to enrich your life and the lives of Lubbock citizens today! Enrich means “to make wealthy” - we want to provide a wealth of help, encouragement, and information that enhances your daily life in a meaningful way. One way is to provide useful resources that help you live your life to the fullest. How can we better equip you to care for others, practice good self-care, spend time with family and friends in meaningful and worthwhile ways? We will explore these topics (and want hear from you too!) so that we might use our experience and expertise to enrich your life today. Social media can be so negative and contentious at times. Instead, let’s fill news feeds with positive, uplifting posts that elevate your day as well as encourage and empower you to do the same for others. Just as we aim to get to know you in order to better meet your needs, this blog will also be a place for you to get to know us. We’ve already talked about how death and funerals can be tough topics, especially when dealing with strangers! Imagine if you already knew who you’d be working with, what kind of company was being run, and how the funeral planning process works - that could provide incredible relief. This is our goal - to have you see us as a trusted partner and friend who has your best interests at heart. 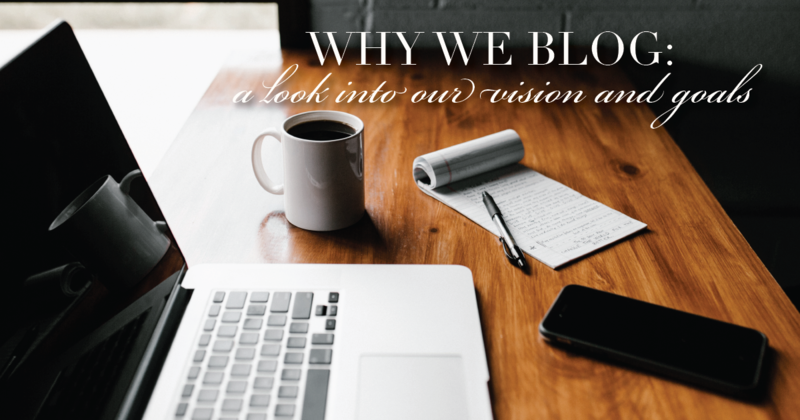 Thank you for taking the time to read about our passion and vision for this blog. We look forward to continuing to build relationships in Lubbock and the surrounding areas. We’d love to hear from you and connect with you online. You can email questions to us at media@memorialdesigners.net, send us Facebook messages, and leave comments on our Facebook page.